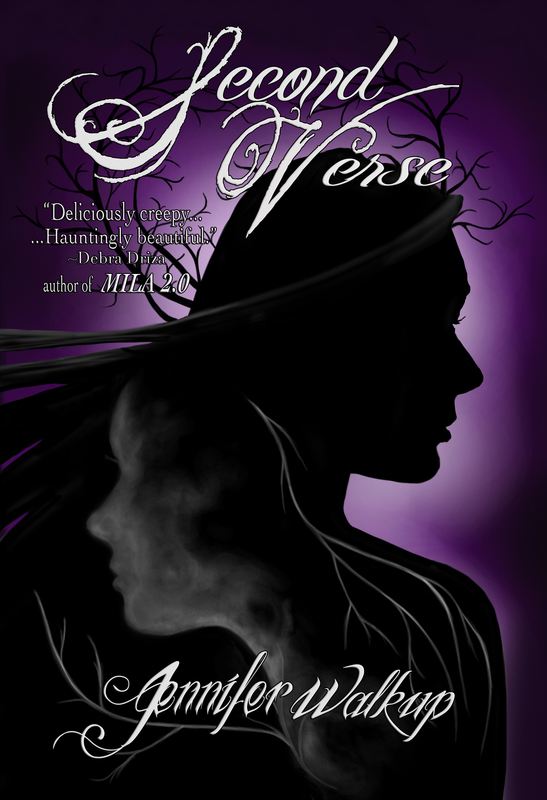 Cover Reveal for Jennifer Walkup’s SECOND VERSE – with Epic Giveaway Contest! I’ve told you all how much I like book covers, right? I love them like chocolate. Like coffee. Like ice cream. This one is extra exciting, because I have had the pleasure of reading snips of this book, written by one of my good writer buds. And it’s awesome. Haunting, romantic, beautiful, everything you could want from a YA thriller. So it is my pleasure to present to you the cover for Jennifer Walkup‘s SECOND VERSE. Click below to enter the Epic Cover Reveal Contest over at Me, My Shelf and I – she’s giving away signed ARCs, signed bookmarks, and an Amazon gift card! Weeks before The Hunt, Lange and her friends hold a séance in the farmhouse’s eerie barn. When a voice rushes through, whispering haunting words that only she and Vaughn can hear, Lange realizes it’s begging for help. The mysterious voice leads Lange and Vaughn to uncover letters and photos left behind by a murdered girl, Ginny, and they become obsessed with her story and the horrifying threats that led to her murder. But someone doesn’t like their snooping, and Lange and Vaughn begin receiving the same threats that Ginny once did. The mysterious words from the barn become crucial to figuring out Ginny’s past and their own, and how closely the two are connected. They must work fast to uncover the truth or risk finding out if history really does repeat itself. Now that you know what the book is all about, head on over to Me, My Shelf, and I for a chance to win fabulous prizes. CLICK HERE FOR CONTEST, GOOD LUCK! CLICK HERE TO ADD IT ON GOODREADS. Congratulations, Jenn! It is beautiful! Tags: books, Cover Reveal, Jennifer Walkup, Me My Shelf and I, Reading, SECOND VERSE, writing. Bookmark the permalink.